Almost nothing is more valuable than time with all its precious moments. Enjoy all these unforgettable moments with an exquisite Finest- or Fashion-watch from WEITZMANN! WEITZMANN-watches stand for elegance, passion, tradition and highest technical precision. Our masterpieces, manufactured in traditional watch factories usually in a limited number of maximal 500 pieces each style, will let your watch loving hearts beat faster. The range of products is wide: from pilot and “Bauhaus” watches, high-quality self-winding chronographs with classy movements from Switzerland to sporty watches made of carbon in our noble WEITZMANN Finest watches collection as well as ladies’ Fashion-watches under the brand “Bella Joya” and also Fashion-watches for gentlemen under the brand “OW Weitzmann”. But no matter if Finest or Fashion line of products – All WEITZMANN watches and chronographs are subjected to strict quality controls because your total satisfaction is only one of our quality features. In the manufacture of a WEITZMANN watch we look back on the proven art of watchmaking and deeply rooted in our company philosophy is the historical legacy of Augsburg, the city of the Fugger family, and its neighbouring town Friedberg. Already in periods of the 17th and 18th century skilful watchmakers from Friedberg prepared artful timepieces for the aristocracy and for the upper middle class as well as supplying the whole of Europe with high-quality watches. 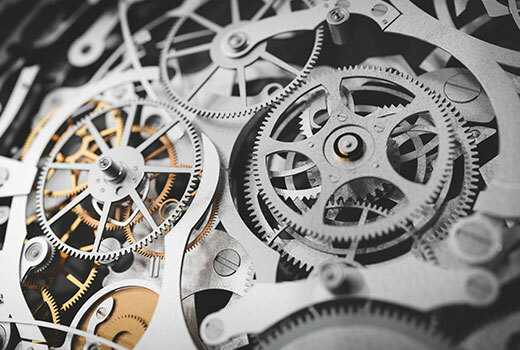 As a company known for quality we accept the swabian-bavarian inheritance and build exquisite watches for everyone that shares our attention to detail and our demand of highest technical precision. Hereby we offer you our special service of an extended WEIZMANN warranty: every WEITZMANN watch out of the WEITZMANN Finest-watches collection is subject to an 1111 days warranty – that accords more than three years. A certificate with all warranty services is handed out to each purchaser. Let yourself be surprised when having a look in our Online-Shop because not much combines functionality with aesthetics like a stylish WEITZMANN watch.